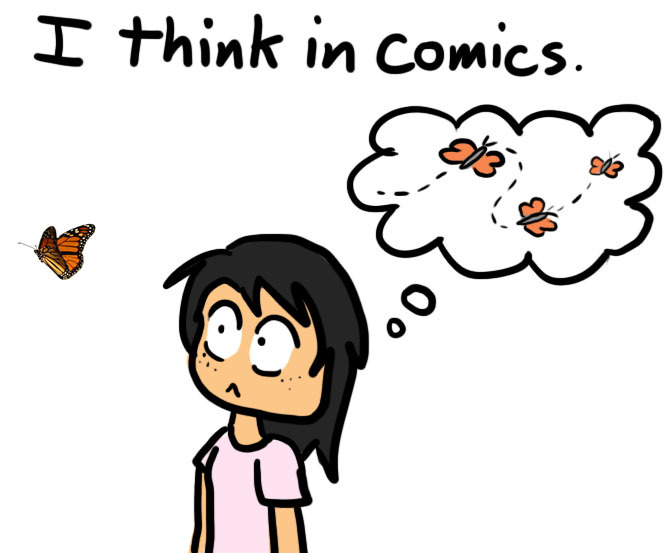 What exactly is this | I think in comics. I’m me!?!?!?! This is such a philosophical blog! Dude, you are amazing. And i’m totally stalking you… I mean following your blog again. 🙂 Seriously, I wish I could blog about my freshman year in a witty and comical (get it? :D) manner. But that second to last line right there? Story of my life. You’ll be awesome Vy. Good luck, and if you need to be awkward with someone, you know where to skype me! Hey, if you wanted to blog, you’re certainly capable of it! You have the ability, absolutely! Wow! I’m glad you liked it! Sorry, I’m actually quite shocked right now that I had a reader from a different country– I’m flattered! Where do you come from? 😀 And thank you!